Nowhere in the world are children more central to a continent’s future than in Africa, where they account for almost half (47 per cent) of all inhabitants. The expansion occurring in recent decades has been extraordinary. In 1950, Africa’s child population stood at 110 million and represented just above 10 per cent of the world’s child population. It has grown more than fivefold since, and currently stands at an estimated 580 million: four times larger than Europe’s child population, and accounting for about 25 per cent of the world’s children. The large increase in Africa’s child population mirrors the rise in the continent’s overall population, set to more than double between now and mid-century, adding a further 1.3 billion people and reaching 2.5 billion by 2050. These projections are based on median variants of fertility projected by the UN Population Division in its 2017 edition of World Population Prospects. They take into account the prospect of declining fertility rates in Africa in the coming years, as well as continuing fertility trends in other regions. The sheer number of Africa’s children and its growing share of the world’s child population means that dividends for the continent will be dividends for the world and for humanity, including the most disadvantaged and vulnerable. The opportunity for Africa lies in the vast potential of its current and future generations of children and youth. Today, two thirds of African Union (AU) Member States are still in the predividend phase of demographic transition, characterized by high fertility rates and high dependency ratios. It is imperative to recognize that today’s rapidly increasing child and youth populations will soon constitute Africa’s working age population. 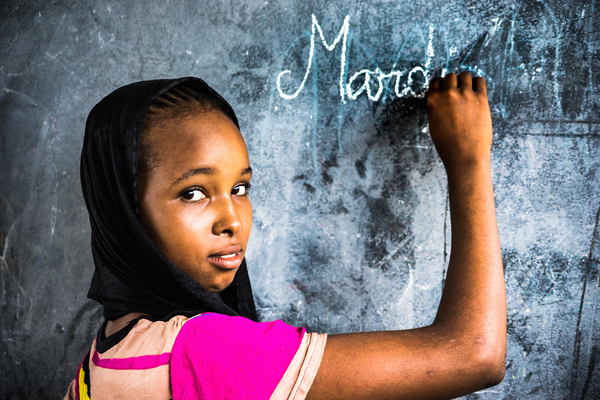 Investing in their health, protection and education holds the promise for reaping a demographic dividend in the 21st century that could lift hundreds of millions out of extreme poverty and contribute to enhanced prosperity, stability and peace on the continent. However, failure to prioritize these investments will lead to a far bleaker scenario, because the opportunity to reap a demographic dividend is time-sensitive and influenced by policies. 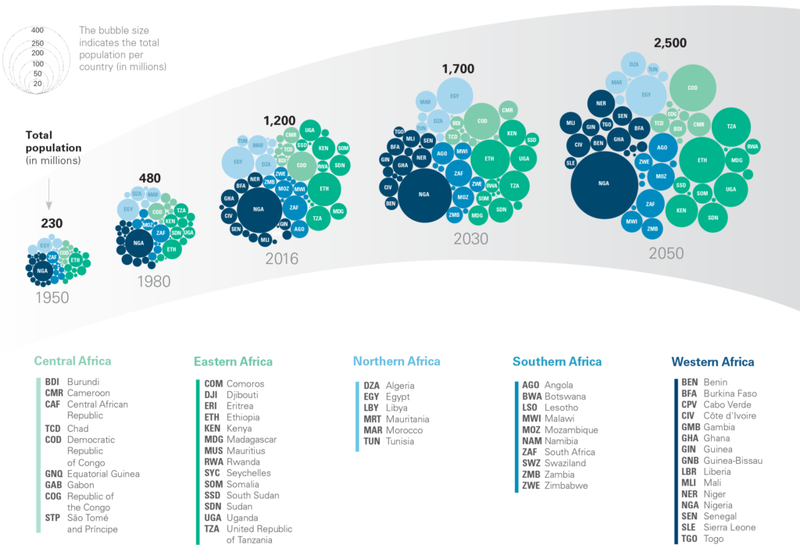 With more than half of African countries unlikely to reach their demographic window of opportunity – the period when a country’s population structure is the most favourable for accelerated economic growth – until 2030 or beyond, it becomes all the more urgent to adequately prepare so that when the window of opportunity opens, African nations can best harness and capitalize on the dividend. Numerous studies have shown the transformative power of investment in essential services for children and youth, their societies and economies. 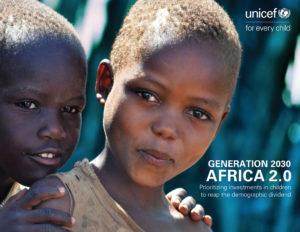 The modelling exercise of Africa’s demographic dividend potential presented in this report shows that the continent’s per capita income could quadruple by 2050 if such investments in human capital were complemented by policies that foster job creation, empower and protect women and girls, and expand access to culturally sensitive reproductive health education and services. The challenge lies in making these investments. Closing the gaps that presently exist between minimum international standards and actual health care and education services is a critical first step toward building the human capital required for a demographic dividend. This must become a key priority, especially for those countries in Central, Eastern and Western Africa where the gaps are widest. Although Northern Africa and Southern Africa fare much better in this respect, they still face challenges that other African sub-regions also share: reaching international standards, enhancing the quality of health care and education and ensuring that education is relevant to the 21st century labour market. If these key investments are not made now, the continent will not be able to reap the benefits of the demographic dividend. 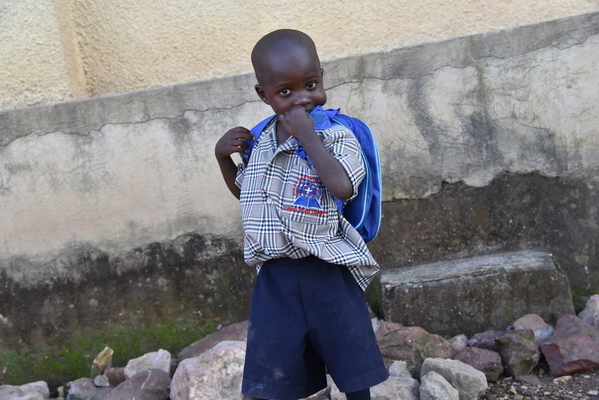 Poor health and insufficient education will prevent children from developing to their full potential, and will sustain high poverty rates, elevated unemployment and underemployment, leading to stagnant economic growth and resulting in a missed opportunity for the continent. 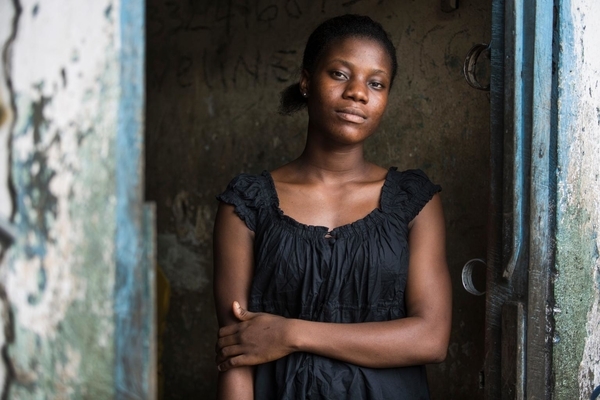 The years between now and 2030 are critical for building Africa’s human capital. Investing in youth, selected as the AU’s main focus in 2017, is imperative and needs to be complemented by an equally strong emphasis on investing in children to establish the strongest foundation for Africa’s future. As 2017 begins to wind down, African Union Member States and other stakeholders are faced with the challenge of stepping up investments in children and youth to ensure that African countries are well positioned to reap the benefits of a demographic dividend. Although this report focuses on government actions required to reap the demographic dividend, involvement by a wide range of stakeholders, including non-government organizations, religious groups, the private sector and children and youth themselves is also vital. By strengthening future human capital through investment that benefits children and youth, Africa will be able to reap a faster, deeper and longer dividend. If Africa misses this opportunity, population growth could lead to rising poverty, marginalization and instability. Inaction will result in an unprecedented burden, as the continent will need to cope with the exponentially rising demand on natural resources while attempting to meet the needs of billions of inhabitants. To reap a demographic dividend, Africa will need a blend of political will, sound strategies, enhanced implementation capacity and adequate financing. Employment opportunities will have to address the global rise of artificial intelligence and automation. Despite these challenges, attaining a demographic dividend is possible. A number of Asian countries have already benefited enormously, and their starting points were similar to those currently experienced by the majority of African countries. The challenges across Africa can and must be met to secure its future, and make the continent safe, secure, prosperous and equitable for its most precious asset: its children and youth. The term ‘demographic dividend’ refers to the economic growth that can be achieved by having proportionally more working age people as a share of the population.It is driven by the demographic transition of a country’s population. As mortality and fertility decline, the population’s age structure changes. With fewer births each year, a country’s young, dependent population grows smaller in relation to the working age population. This is the period when the dividend can materialize: the increasing share of working age population compared to other age groups leaves each working age person with fewer dependents to support, and thus more disposable income that can spur greater consumption, production and investment and, in turn, accelerate growth. The window of opportunity for a demographic dividend is closely linked with such demographic transitions. There are no distinct criteria that defines the beginning and end of the window, but it begins to open when the share of working age population is increasing and fertility reduction has progressed far enough to reduce the dependent child population. The window begins to close when the share of the working age population starts to shrink again due to continued low fertility and the increasing share of the elderly in the population.